Content is no doubt a big component in a successful blog writing campaign, however, it’s not the only thing. You need to look at other elements in the equation and how tweaking those can drive blog traffic. Even if your content is solid gold, it’s not worth its weight if it’s not being read. In order to capitalize on your blog, you can take these steps to grow your readers. Here Are Some Simple Steps To Increase Readership. Update regularly. Quality and Quantity are equally important and it would make good business sense to not focus on one more than the other. 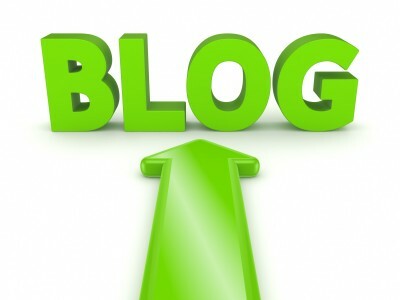 Your blog traffic will increase if readers see that you post regular updates. Develop a community. You created a blog to engage your target audience and bring more awareness to your brand right? Encourage your blog’s readers to interact with you by leaving comments and remember to respond to whatever feedback they offer. It’s okay if you don’t receive a large amount of comments at first. It takes a while to establish a reputable blog community. Tag your blog posts. Categorizing your tags makes it easier for readers who are searching for specific subjects. Make reading your blog easy. Take advantage of social networks. A simple and effective tool to advertise a blog is to get the word out on a variety of channels. This will increase blog traffic. Encourage any followers you have on your company’s Twitter, Google+, Facebook, and LinkedIn accounts. Have a good title. Titles should be precise and right to the point. Readers should quickly know what they are about to read and an accurate title will tell them all they need to know to continue reading. You should also make sure your title is search engine friendly. Use visual aids. Yes, readers will still enjoy your quality content but adding an image to accompany your blog is always aesthetically pleasing. Search engine optimization. Need I say more? Once you have established your top SEO keywords from your company’s website, use them in your blog posts. This will help drive any blog traffic. Link. Links can be an important feature of any successful blog. You can link to industry leaders, comparative articles or your own site. Doing this can facilitate more traffic by offering up more information to your target audience. This can also come full circle as those you link to may return the favor. If you are struggling to find the balance between quality content and regular blog posting, let the professionals at SJC develop a plan for you. This entry was posted in Blog Writing and tagged blog, blog community, content, content marketing strategy, Google+, how to drive blog traffic, increasing blog traffic, keywords, LinkedIn, Quality content, regular blog posting, SEO, SJC, social media, Susan J. Campbell Copywriting Solutions. Bookmark the permalink.